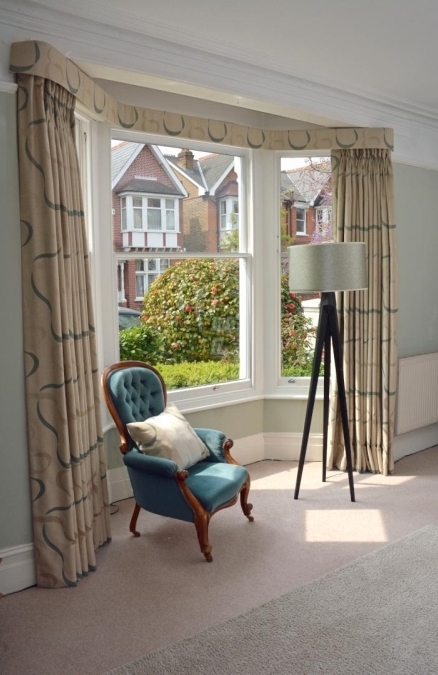 At Zanda Russell Design, we offer a complementary consultation service and work closely with you to produce bespoke, made-to-measure curtains for your home. Full length curtains look elegant, they also give warmth to any room. 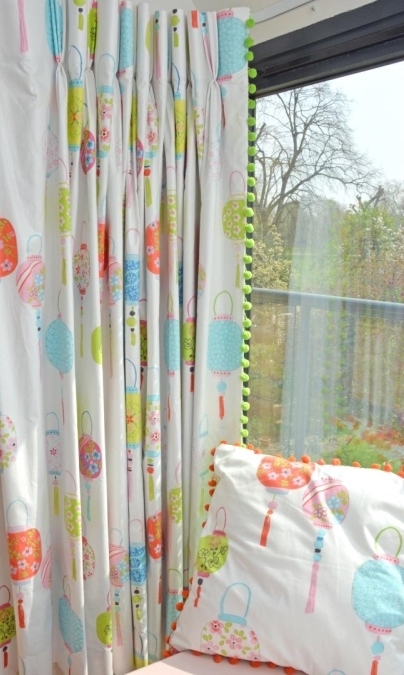 Curtains can be combined with Roman, Roller or Wooden venetian blinds. There are a number of different headings to choose from, the most popular being triple and double pleat headings. 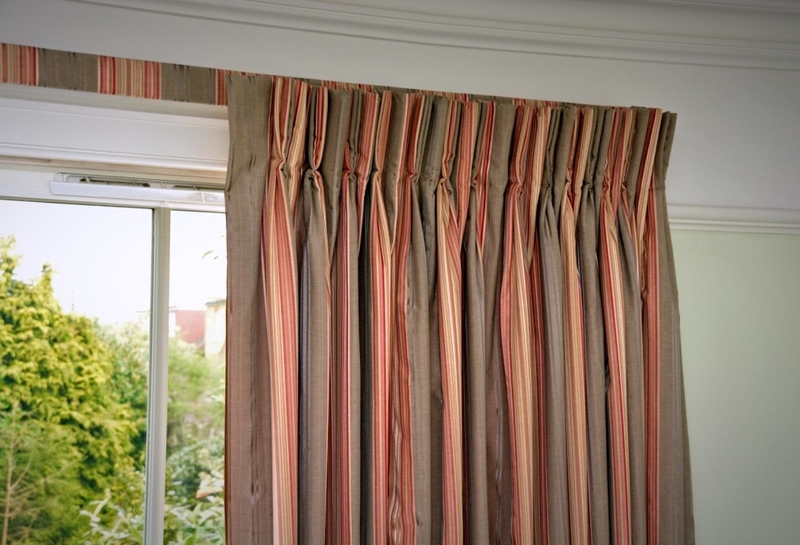 Borders can be sewn to leading edges, bottoms and even the tops of curtains. Trimmings can be added to leading edges bringing additional detail to your scheme. Full-length curtains with a made to measure pelmet. Track is hidden under the pelmet. 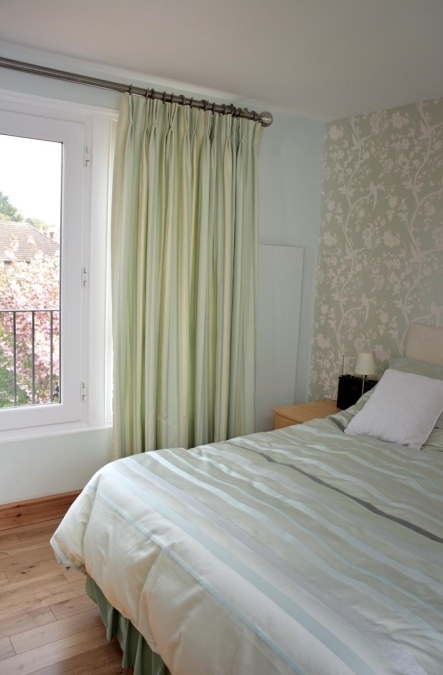 Full-length Laura Ashley fabric curtains with a 50 mm brushed steal pole. Full-length Laura Ashley fabric curtains with double pleat heading on a wooden track. The track is hidden behind a lath and covered with the same fabric. This window is above a staircase which leads to a loft room. 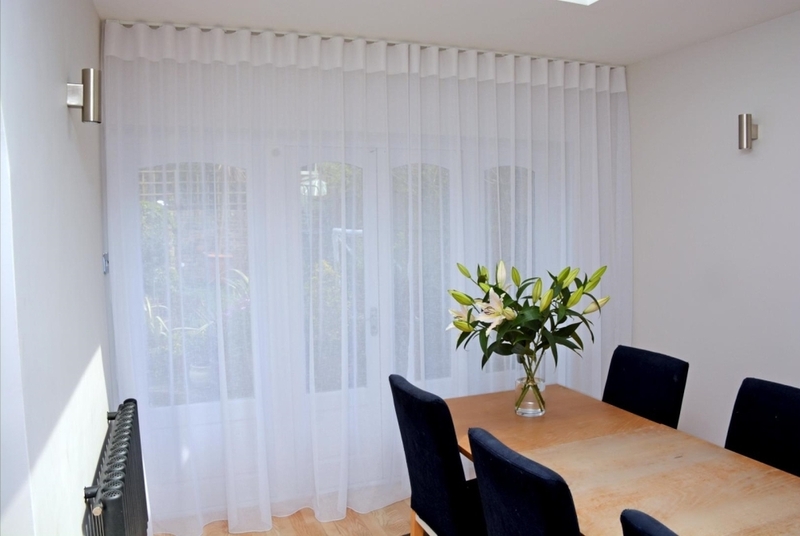 Lightweight sheer curtains with less formal gathered heading tape. Bed-set created to match with the curtains. The pillowcase features bright-orange pom-poms. Wave system using a sheer fabric creates a light and airy space. Wave system using a sheer fabric - this full view shows how this look helps to create an indoor-outdoor living feel in this dining room. Track is fitted to the ceiling to get a clean line and more contemporary look.